Ross has led an eventful life. Diagnosed with Degenerative Disc Disease (DDD) in the 1970s, she has battled pain and occasional depression throughout her career. Her indomitable spirit has helped Ross rise above the disease to work, sing and successfully raise her two daughters as a single mother. There have been setbacks, including suffering the second of two broken necks in 2009. “I thought my singing career was over, but four years later I’m still singing Jazz, not singing the blues,” she says. Kate Ross has worked with many Jazz and R&B groups, including The OSU Jazz Orchestra, Eddie Baccus Jr., Hank Marr Trio, Broad & High Jazz Trio and the Bobby Floyd Trio. 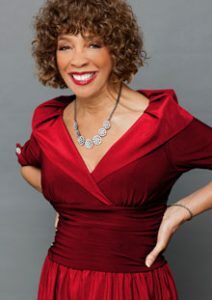 She frequently performs at the Clintonville Woman’s Club in Columbus, Ohio as a featured vocalist with Vaughn Wiester’s Famous Jazz Orchestra.